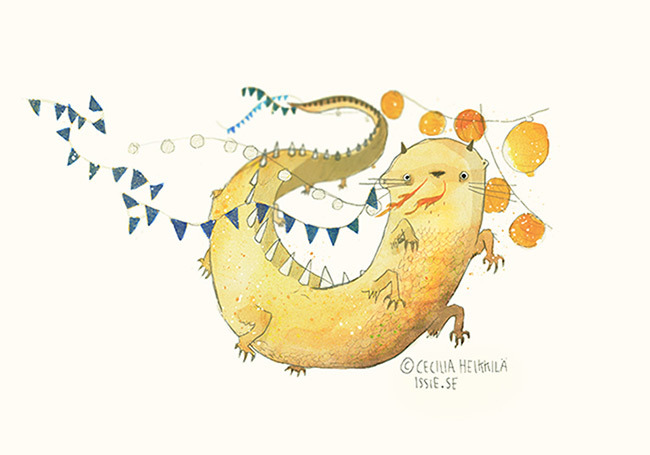 blog of issie - drawing, cats and stuff: Dragon ermine illustration. Here is dragon ermine, cruising the indian summer nights, among music, lanterns and the birds in the sky. Where is he going? We don't know, but by the look of determination on his face - it is somewhere important.